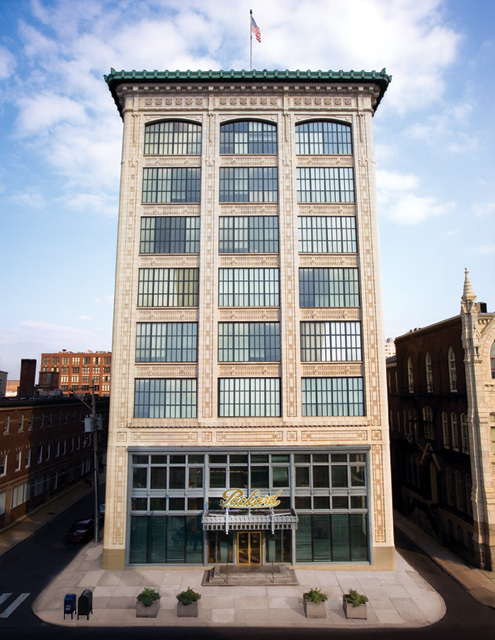 Apartments in Philadelphia with on-site parking are not easy to find, but at Packard Motor Car Building, that’s just one of the many amenities residents enjoy. Philadelphia is a very walking-friendly city, but it’s not necessarily as friendly to drivers. Most Philadelphians have felt the frustrating pain of making turn after turn onto a maze of one-way streets hunting for a parking spot. Then there’s the inevitable traffic, the embarrassing back and forth as you try to squeeze into a spot and then the panic if you’ve stayed parked past the meter time. But, for many apartment dwellers, it’s an unfortunate necessity of living in a city. That’s not the case for those who live in Packard Motor Car Building’s apartments in Philadelphia with on-site parking. Here, drivers can cruise home from work, skip the lengthy scavenger hunt for a parking spot and instead pull in, shut off and head to their apartment to relax. Packard Motor Car Building’s onsite parking is indoor, which is an added plus with Philly’s often crazy weather. In the summer, residents don’t have to worry about spending time cranking up the AC before the car is bearable and, when snow hits in the winter, they can sleep in while other drivers are chipping away the remnants of nasty weather. That’s not to mention the convenience and peace of mind just steps away in a pinch or an emergency. All of the extra time that Packard Motor Car Building residents have because they don’t have to search for parking means more time to enjoy the other on-site amenities. A complimentary fitness center, game area, library and lounges are just a few of the ways residents can while away all that extra time. Apartments in Philadelphia with on-site parking like Packard Motor Car Building offer convenience rarely found in city living.